Never fear! I have another super simple recipe for you that will dazzle friends and tickle you with its ease. This recipe require zero thought. 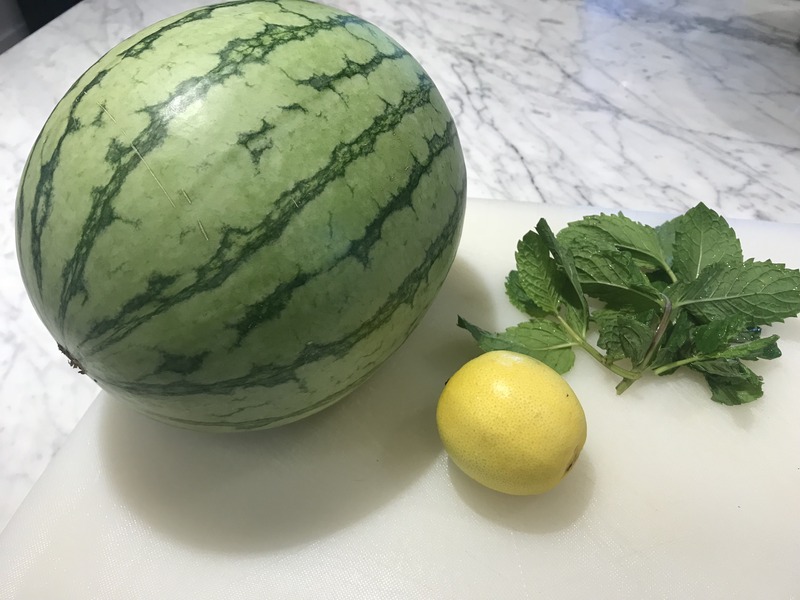 Cube the watermelon. Wash/dry mint and chop. Add in to salad. 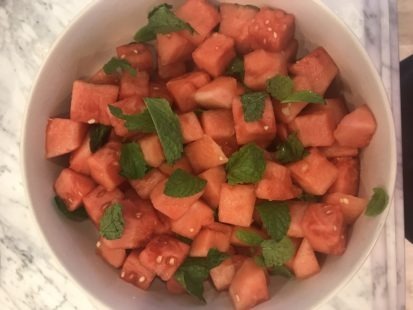 Squeeze a half lemon for half a summer watermelon into the salad. Stir. Voila!